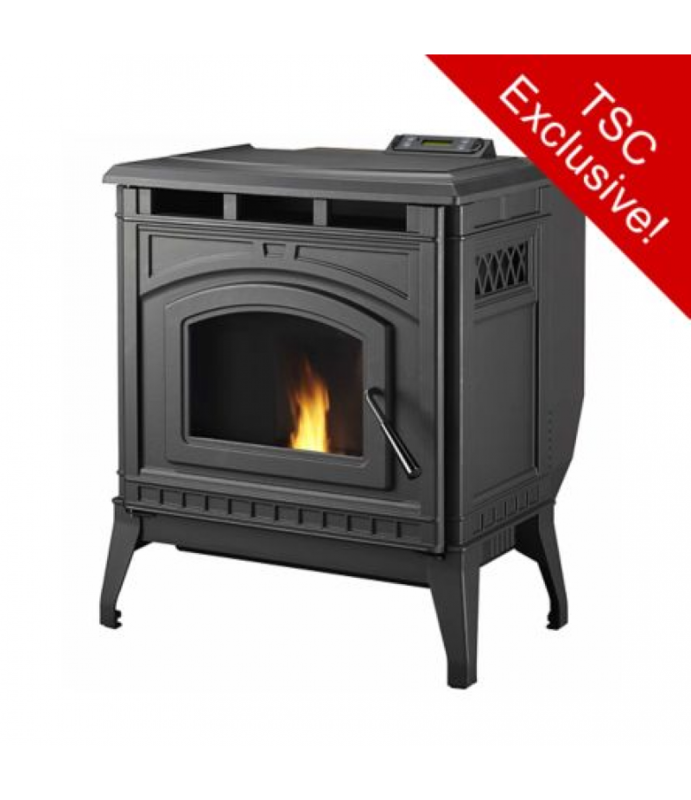 The PelPro TSC90 Cast Iron Pellet Stove boasts beautiful cast iron styling and robust heat. The TSC90 helps keep your home comfortable in the winter and adds beauty to your living room. Simple to use, and beautiful to look at.Cast.. The PelPro TSC90 Cast Iron Pellet Stove boasts beautiful cast iron styling and robust heat. The TSC90 helps keep your home comfortable in the winter and adds beauty to your living room. Simple to use, and beautiful to look at. Area Covered: 2,200 sq. ft.
Flue Collar Size: 3 in.